A hardwood cube, with one recess in the top and an additional wooden base for greater stability. 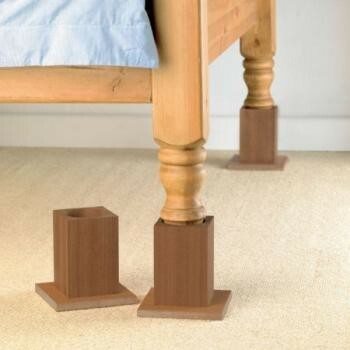 Wooden Bed Raisers...A hardwood cube, with one recess in the top and an additional wooden base for greater stability. Designed specifically for beds. Supplied as set of four.Maximum Total Load: 60 Stone (380 kg). Maximum leg diameter 75mm (3").